The Picture Factory is committed to excellence in unique, custom framing and photo frame design. We work closely with our clients to create memories they can adore. Professionals like us can bring your photos and prints to life. We can directly frame your images and attach them to a mat or mat border. We can compile it all in one frame; giving you a memorable image for life. Choose from a large range of frame colours and styles today! We are specialist memorabilia framers and can savour your special moments. Our memorabilia custom framing is usually boxed and looks fantastic with photos and a plaque. We can tailor frame your sporting jumpers and medals in single or double mats – you make the choice . Obtaining a certificate or degree is something that should be celebrated. Get custom picture framing performed by our Melbourne framers at The Picture Factory and give your accolades pride of place in your home. We specialise in certificates, ensuring your end product is as important as the document awarded. 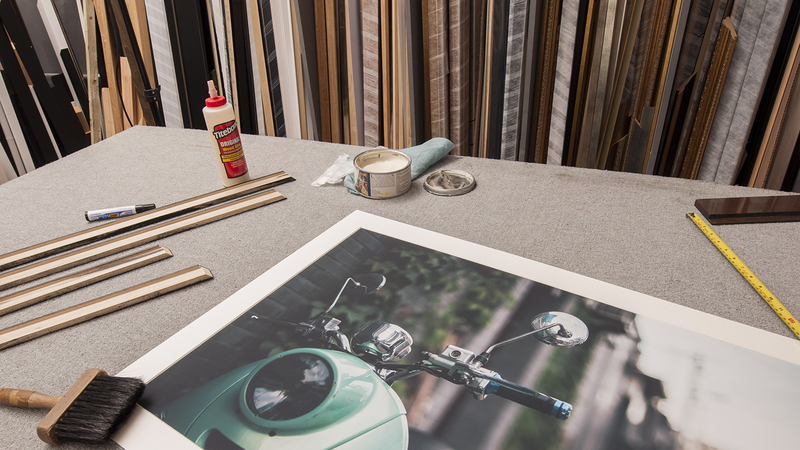 If you’re after an alternative to photo framing, block mounting could be the inexpensive solution you have been searching for. We offer block mounting to Melbourne clients as a fantastic alternative, and also provide canvas stretching to 20mm, 30mm or 40mm wide stretcher frame. Whether you can come in to the factory, send us an email, or talk to us on the phone, we will do our best to help design the frame you require. Our experienced staff will go through possibilities and offer some suggestions to help you make the best decision for your photo or poster needs. If you find yourself asking “Where can I find a picture and photo framing shop near me?” our Melbourne-based picture framers are experienced in a range of areas, making us the perfect fit. Our framing shop’s got the ability to complete jobs ranging from single custom framing projects to wholesale bulk orders. We undertake corporate projects too, and will frame training or achievement certificates for any employee or business. For quality memorabilia or poster framing in the Melbourne CBD, large frames, wooden frames, black frames, custom mirrors or anything else, choose The Picture Factory. Call (03) 9459 1777 or submit an online enquiry form.